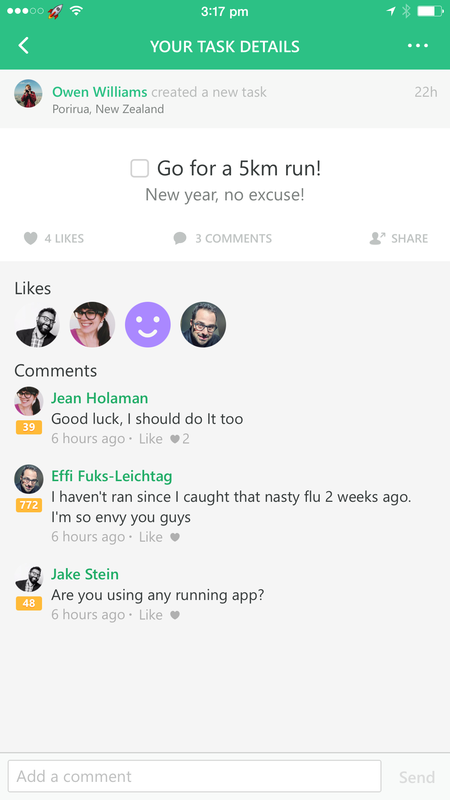 Everything’s done in public these days so why not put your task list up for public view too? 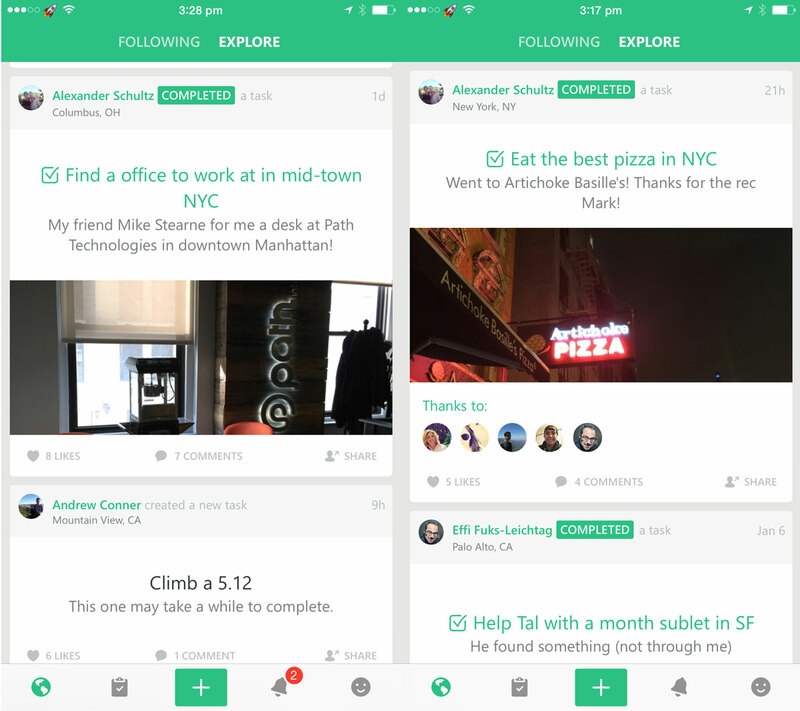 Complete, a new app for iOS, aims to do just that, roping in the community to help you get things done. Admittedly, the idea of my to-dos with strangers sounded odd to me. Why would people care? But, Complete connects you with people who encourage you to get it done or can help you along the way with your task. The idea is that when you share a task you want to get done — like “find a desk to work at in town” — someone else can jump in and help, offer advice or simply encourage you along your way. When I shared my goal for this week, which was to go for a 5KM run, the community jumped in quickly, liking the post and writing encouragement. I was surprised by how much more I wanted to do it when people were simply liking my note. I found the community full of people who are all helping each other out. One user posted that he wanted to find a desk in New York to work at and the community quickly jumped in with suggestions and even photos of spaces that could work. Tasks can be shared on all your social networks so you can get feedback everywhere, but the community in the app itself is focused on helping you get it done. You can update existing tasks with milestones or new goals and they’re shown at the top of the feed again. Complete is beautifully designed and has a great community so far; you can also create private tasks if you don’t want others to provide their input. The app was conceived by CEO Xander Schultz, the son of Olympic champion Dav Schultz whose murder was depicted in the 2014 film Foxcatcher. Schultz built the app after struggling to find his feet following the murder and hopes to help others overcome challenges similar to his using it. 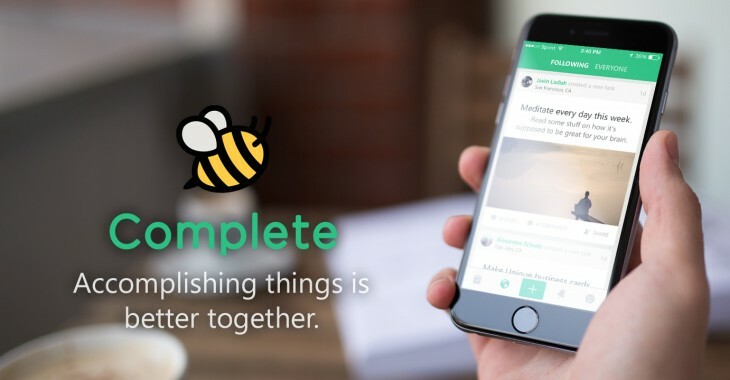 Complete is available for free for iOS users.